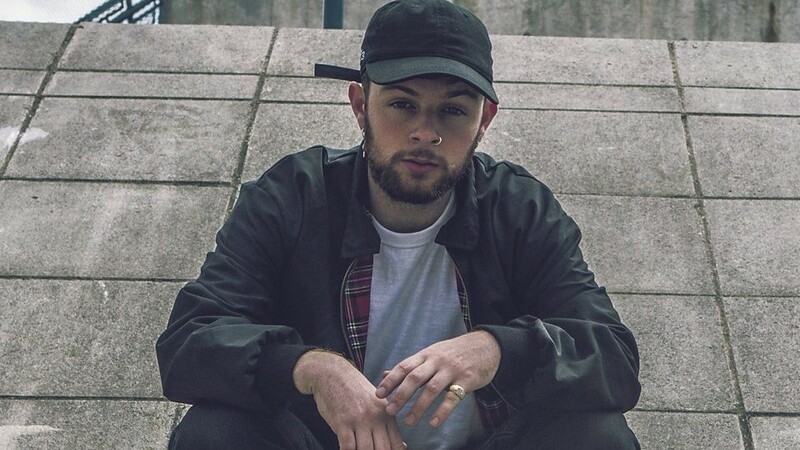 Tom Grennan shot into the public sphere after featuring on Chase and Status’ single ‘When It All Goes Wrong’. Since then, he has released his own EP and has recently been on tour whilst he begins to plan his debut album. Listed on BBC MUSIC Sound of 2017 and set to play festivals such as Reading and Leeds, British Summer Time, TRNSMIT, and kicks off his own tour in early Autumn, this artist is one to watch. I caught up with him over a brief telephone call to talk about his music as food and the difficulty in defining his music. How was the gig at the Union Chapel last night? It’s kind of ironic, because I was actually going to ask you how you look after your voice! Or if you have any routines for looking after your voice? You’ve just released your second EP, you’ve been doing these gigs and you have your tour ready for Autumn. Do you more music plans in the works? Like another EP or an album? Yeah I don’t know whether it’s another EP but I’m definitely planning an album. I don’t know when it will be out though, I don’t know when it will be recording but I’m planning! What kind of direction do you want to go with it or any sounds? I want a classic album, a classic sounding album. I don’t want none of this *raspberry noise* that’s the only way I can explain it, do you know what I mean by that though? So you want something that is more like this is your debut album, it’s not like the ‘oh he’s just finally got out an album aw brill’ but then it’s poo? Yeah, yeah, yeah. I want this to be a special album. It’s my first album. I want it to be loud instruments, I want it to be massive sounding. I’d say you have quite a mature singing voice so who are your musical and vocal influences, if you have any? I don’t really have any. I get asked this question all the time but I don’t really have any. I found my voice myself in a sense. I didn’t really listen to much music when I was growing up apart from the music that my mum and dad, well my mum, listened to; my dad didn’t really listen to much music apart from Irish music. What kind of stuff did your mum put on then? When I was really young it would have been like Queen, The Carpenters, Madonna…who else would she bang out? Elvis…loads of people, but then I listened to loads of grime music growing up. And then when I kind of like wanted to broaden my musical taste, if you want to call it that, I was listening to The Wombats, Arctic Monkeys, Two Door Cinema Club, Nirvana, Foo Fighters, Craig Charles, but then like Amy Winehouse—I’d love to sound like… well I’d love to be able to do what she does with her voice but no one will be able to do that. You definitely ride on the same soul wave as she does, for sure. In Soul music, if we going to put you into any sort of genre, there’s a storytelling vibe that I feel comes across. Especially in your track ‘This is the Age’. Yeah that’s about my dad and that’s actually his voice in it at the end. Everyone’s always like what is that, but it’s my dad, that’s his voice. Why do you choose to feature your dad? Because he had a different life to me, and he’s a king. He’s a king of what he’s done, he’s my king, do you know what I mean? And yeah, he’s just a cool guy, everyone should know about him. What else do you write about? How else do you get your ideas? How do you work it out? Just stories basically, stories that I’ve heard, that I’ve been through, memories, friends, all that kind of stuff. But it’s just real life things. What will your stories be now for the album, where will you draw from now? I don’t know. Writing just happens for me. I don’t plan what I’m going to write about. I just sit at a guitar or sit at a piano with whoever and just write about whatever. I don’t plan it. I’m not trivializing it, but do you think if you had a really good lunch that day, you could write a song about your really good lunch? Maybe, if it’s really, really good, but if it was really, really bad I’d probably write about that as well. I reckon I could do that. I had a really good fishfinger sandwich today so I might go home and write one about that. If you were to describe your music or sound as a food, how would you describe it? I try not to eat meat right now, but I’d say like when I did, it’s like that first bacon sandwich in the morning after a really big drinking session or that family Sunday roast dinner. Exactly, and that’s what I’d describe it as. Or maybe just a pack of Fruitellas. Yeah, strawberry obviously, or apple actually. Where are you from? I know! I saw you’re from Bedford and I was like ‘why does he have such a London accent’? No we’re not. What Uni do you go to? Queen Mary, like Mile End, East End. I went to St Mary’s. Of course, of course! Let’s be honest! No, but I have actually been listening to your music because I saw your name pop-up, who’s this kid? Let’s check him out…So how would you describe your music in a non-food way to someone who hasn’t listened to it before? I was kind of struggling too..
Yeah, it’s mad, I wouldn’t really know but I’d just say it’s Tom Grennan. Ha! For your Autumn tour, or just generally in the rest of 2017, what are you looking forward to? Yeah! Have you been there before? Yeah, it’s a sick venue, are you going to come? If there was someone that you could work with on a track or an album, who would it be? There are obviously other cool things I could chat to you about, but I know that I have to let you go to your next person, good luck with it! Yeah I’ve got loads, it was lovely to talk to you, you’ve not been boring like a few of them, alright, cool, nice one. Jus gunna buy my first album in a while. Have heard a couple of songs by tom grennan and like the sound of his voice and his own dress style. He’s different and seems naturally talented. For me to physically buy an album is a big thing, so hope I think it’s all that. ← It was 50 years ago today, so is Sgt. Pepper still worth the fuss?